Let's not mince words on this one. This next car is going to be a terrible automobile by any modern yardstick. It is slower than anything on the road, handles like skateboard riding on a whale carcass, is unreliable as gas station sushi, and is about as dangerous as driving around urban Detroit with your Takata airbag wiried to the horn switch. However...I can just about guarantee that every single time you plunk your rear into one of those hammock seats in this rolling tuna can, you will do so with a mile wide grin plastered across your face. 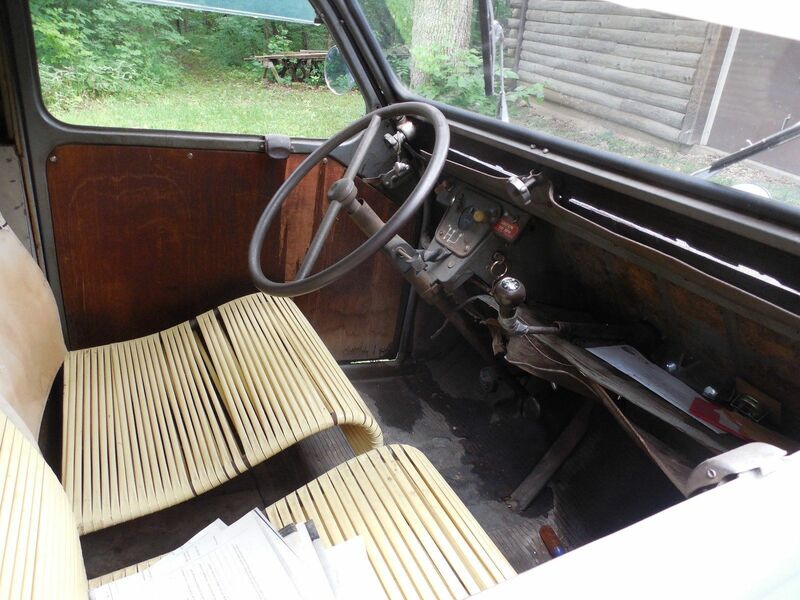 Find this 1960 Citroën 2CV Truckette here on eBay bidding for $6,600 in Louisburg, KS with 2 days to go. The plucky little 2CV is named after the tax horsepower of the original powerplant -- Deux Chevaux or two horses en français. 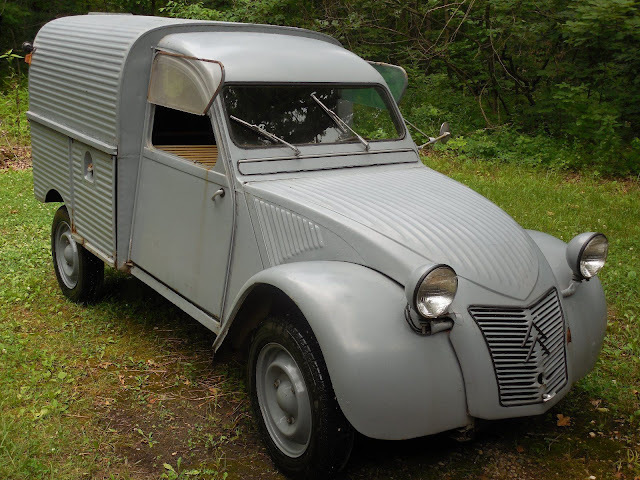 The toute petite voiture (compact) was designed in the '30s by the French automaker Citroën before the world went to war, but production continued in the post war France with a few upgrades. I Was Cleaning My Garage This Spring And Found This... 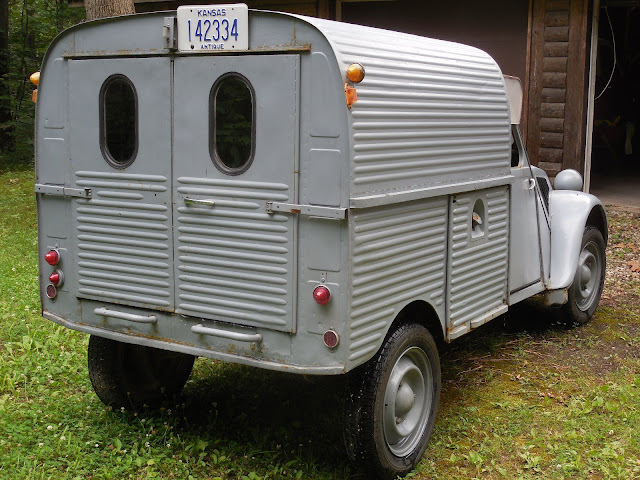 It's A 1960 Citroen Deux Chevaux Truckette Which I Bought In 1977.. But It Has To Go. It's A Good Example Of An Early Truckette With The 18 Horse Engine. The Engine Starts And Runs But Hasn't Been Driven For 3 Years When It Got A Brake Master And Hoses. I Have Many Extras Including A Couple Of Gearbox's, A Later Model 21 Horse Engine And The Original 12 Horse Engine. Isn't this what Adrian Cronauer (Robin Williams) was driving back when? I love the look of this thing! This thing is just about perfect. Priceless analogies in this write up. Bravo! Sigh.... where do I start? 2CVs are wonderfully reliable. They could not have sold 7 million (including all variants) if they were junk.... not even to the French! And as for handling, do not confuse extreme lean with lack of road holding. A 2CV will stick to the tarmac until well after you decide to lift out of fear of scraping your elbow on the asphalt. I will grant that this particular example will be slow, but that will become evident mostly on the highway. Around town, it will at least feel reasonably snappy. It just runs out of poop way sooner than you might expect. If this had the later 602 cc engines (29-33 bhp, depending on vintage) it would be fully competent, even on the highway (at least in the slow lane). However, DT was right about one thing: the mile-wide grin. That is guaranteed! Nice find. Probably the best way to scrape your elbow this side of a sport bike! Bobinott -- I'm glad you saw this one, because I KNEW I was going to get grief for writing something negative about the 2CV...I almost mentioned you by name!! To paraphrase the Great Commoner - never have so few spent so much for so little. Now, that said...you buy something like this because you've watched too many old French movies, and like that two pack a day Gauloise habit, health and safety have nothing to do with it. Nowadays...sheesh. Interesting experiment: go find a friend who's got a kid of near-driving age and bring the conversation around to the idea of that kid driving a car without an *airbag*. Or find someone who has one of those recalled Takata Face Removers and suggest that the simplest and best solution until they can actually replace your airbag is simply to UNPLUG IT. Peter Egan did a great story about traveling across the country in one of these many years back. The back had been converted into (the world's smallest automotive?) camper.